If your sliding glass door doesn’t work properly or is getting old, you are not alone. Many homeowners in Miami face this issue. Sliding doors are fragile and heavy commodities that require sensitive care and attention. A glass door replacement or repair should only be handled by a professional glass repairing service. ABob’s Glass & Door Repairs Inc. is a company specializing in glass doors and windows services. At ABob’s, our goal is to maintain a long-term relationship with our customers as our cost-effective solutions and exceptional service meet their needs. We only work with quality products for replacements and installations. Sliding glass doors are our specialty. We offer 24 hr emergency repair service as well as new installations, repairs, and maintenance of glass doors and windows in the Miami area. As a fully licensed company, we only hire qualified and highly trained technicians to ensure the job is done right the first time. We efficiently repair impact and regular sliding glass door, sliding screen doors, commercial glass doors, windows, re-screen pool enclosures, and patios. We strive to meet your expectations and exceed our clients’ needs and complete successfully their projects. Furthermore, we work according to a schedule focused on always respecting our customers. Call us with your sliding glass door problem today, we will be happy to help. 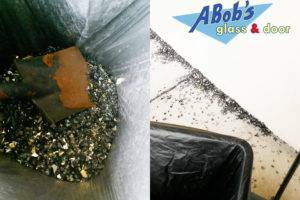 At ABob’s, we install, replace, and repair virtually any type of glass imaginable. 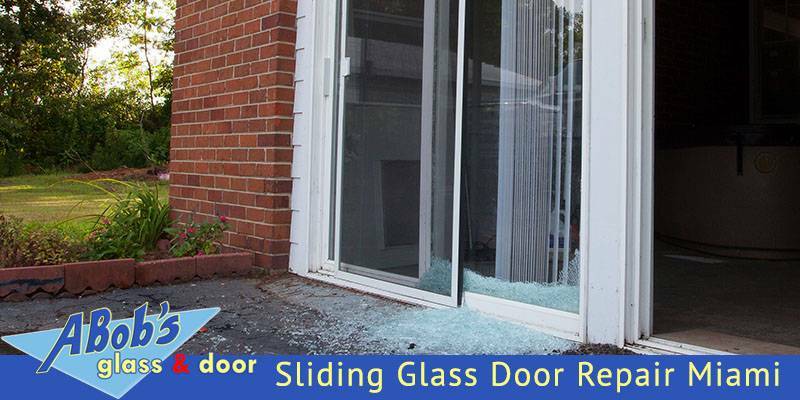 From home windows to sliding glass doors to entry way doors, if it has glass in it – we can either fix it or replace it. Sliding glass doors are common in Miami. Due to the excessive use, these fragile doors tend to break or malfunction. If it’s happening with your sliding glass door, you can call us for a free estimate. We install, repair, and replace any sliding glass doors, including the popular French ones. We offer a board up service for both Miami’s residents and businesses. Our board up service is a quick way to fix your problem temporarily and prevent further damage. If the problem is unfixable at the right moment, we will board up your business property or your house until the replacements come in. 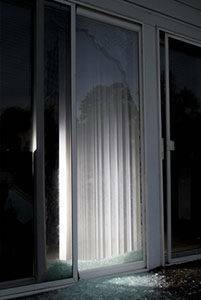 If your employee has accidentally a broken a glass door or window, or you are simply a victim of vandalism, call us for the best board up service in Miami. Wherever your auto shop, restaurant, retail store, or another type of business is located in Miami, we can provide you with the assistance of a new commercial glass. We are the best commercial repairing glass service in the area. Vandals, nature, and accidents know no bounds. At ABob’s, we offer 24-hour emergency glass door repair and replacement service on call basis. 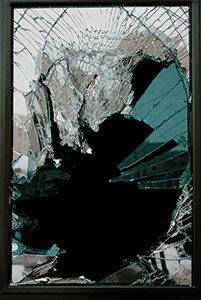 So whenever you are in need of an emergency glass repair, call us!